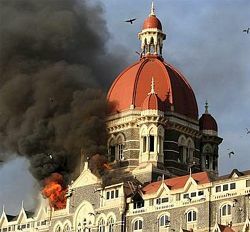 David Coleman Headly was sentenced today for his role in the Mumbai bombings and planned attack of a Danish newspaper. His plea agreement called for a life sentence, allowing him to avoid the death penalty. He was sentenced today to 35 years, a reduced term, because of his cooperation with authorities. Even Patrick Fitzgerald showed up to argue for the lesser sentence.